Ridhy arrived in the Territory in August 2017. Having worked in both non-profit and corporate sectors in India and the US, Ridhy is keen to expand her understanding of multicultural work place settings. 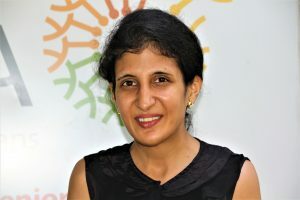 She joined COTA NT as a volunteer in January 2018. She has now joined the team as the Administration Coordinator. Her responsibilities include: overseeing the day-to-day activities of the office; providing assistance and support to the management team; providing administrative support for the NT Seniors Card scheme and COTA membership; project and event support.